“As a retoucher you will receive many photos with drawn lines, arrows and circles meant to show flaws on the model that are to be corrected in Photoshop. Sentences like “fill in hair” and “smooth skin” are very common. 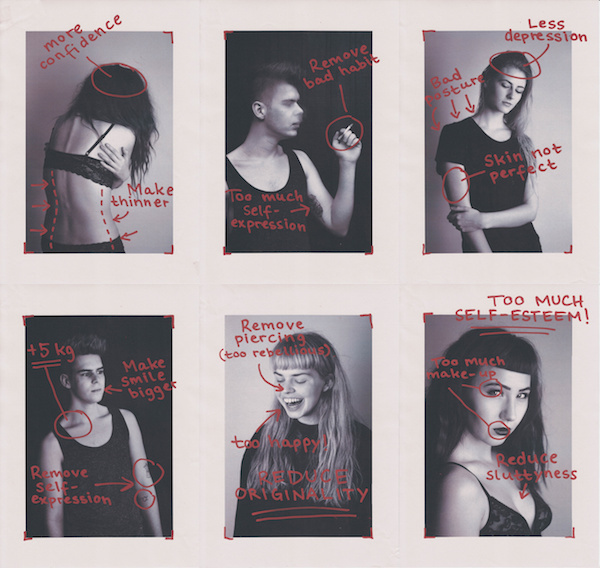 While playing around with the idea of becoming a professional retoucher, some of the thoughts going through my mind were about the morals involved in making models skinnier, photoshopping their skin flawless etc. How far is a client allowed to go with their notes on the model? While notes that tell you to take in the waistline are very acceptable for most people, notes on for example mental disorders or self-expression and style probably would be frowned upon.